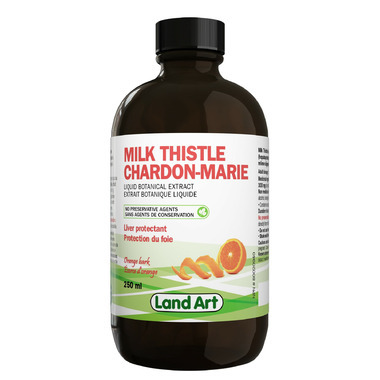 Milk Thistle is traditionally used as a liver protectant. It helps to support liver function and relieve digestive disturbance. Directions: Adult: 10 ml per day. Can be diluted in a juice or a glass of water. Non-Medicinal Ingredients: Purified water, vegetable glycerin, citric acid. Each 10 mL contain 3.5 ml alcohol (ethanol). Contains no dairy, wheat, gluten, yeast or corn.